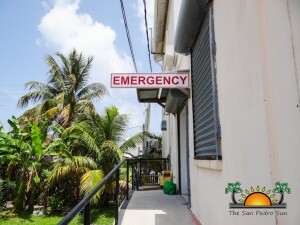 Residents on the island agree that for many years, the Polyclinic has done their best to provide adequate health services to the island community despite the many limitations the institution continues to face. Since February 2015, the medical facility has been providing 24-hour service, focusing on emergencies during the night time. 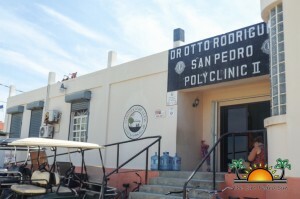 When the 24-hour services were inaugurated, Minister of Health, Honourable Pablo Marin stated that the Government of Belize was looking at areas to improve the health sector on the island, but since then, little has been done and the Polyclinic continues to rely on donations. As for the remainder of the funds, the San Pedro Animal Foundation (SPAF) will use it to take cover the fees that many pet owners on the island cannot afford. This is will allow the facility to render its services to those pet lovers who at times find it difficult to cover their furry friends’ medical bill. According to the SPAF, they count with the only full-time veterinarian on the island, which provides excellent services. Island residents are encouraged to make monetary donations or provide prizes for the event’s silent auction. So far, several stakeholders have started to make monetary donations and prizes for the silent auction. Some of the prizes range from stays at luxurious resorts to electronic items and dinner at gorgeous restaurants. There will be a beach BBQ during the day of the fundraiser, and everyone is invited to come out and support the worthy cause. Tickets for the BBQ will go on sale on Friday, November 17th, and they can be purchased at Caribbean Villas, Pedro’s Inn, the Red Cross San Pedro Branch, Rotary Club, and from members of the San Pedro Lions Club. All proceeds will go towards this long-awaited project.